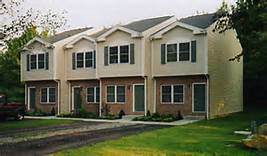 Why Multi-Family? Simply stated – people will always need a place to live. Land is scarce in many cities and the population continues to grow. ..
Multi-family vs. Other Commercial Investments: Of all the commercial asset types, multi-family has proven to be the most stable. In many down markets, multi-family performs better than other commercial sectors because people still need a place to live. We have an opportunity for ownership with none of the normal time and/or effort….you will not want to miss this! • When Is a deal a “Deal”? Finally a way for you to become a Multi-Family Investor without all the time and effort….We will do all the work for you, you will reap all the benefits…. Can’t Wait To See There!!! Cambridge Investments Group, Inc. is a Nevada based real estate investment firm dedicated to the acquisition and professional management of condominiums, single family residential income properties and apartment communities. D. Scott Freebairn, Founder and President of Cambridge Investments Group, Inc. started his real estate career in 1995 investing in the San Joaquin Valley located in Central California. Cambridge has successfully rehabbed and managed single family residential properties, condominiums, mobile homes and small apartment communities.